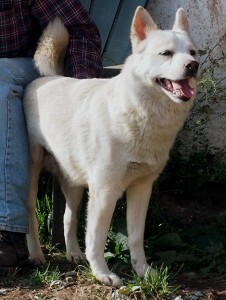 Wolf is a white 5 year old male husky mix who is smaller in size. He has a nice disposition and appreciates any attention he receives. 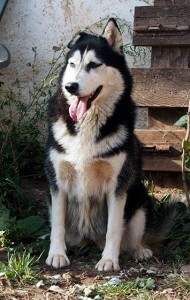 Wolf loves to snuggle with his humans, and he plays well with other dogs, especially his partner Maya. Maya is a sweet 6 year old black and white female medium size husky, with one very cute bent ear that only adds to her charm. 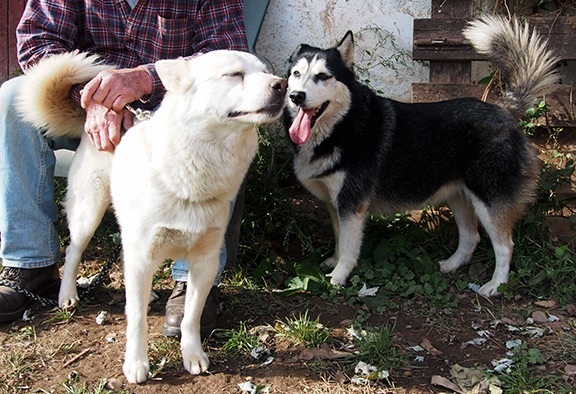 Wolf and Maya were loved by one family who unfortunately lost their home and had to give them up. They are a bonded pair who need to be adopted together, so if you’re looking to expand your family by two, then Wolf and Maya could be just the right new companions for you!